I have just got a new laptop with Microsoft Windows 10. My previous laptop ran Windows 7. I'm trying to get applications to "run as administrator" by default, so that I'm not constantly having trouble saving/overwriting files, etc. The priority here is to be able to modify my own files on an external hard drive; I wouldn't have expected that I'd have to do anything special to be able to do this. 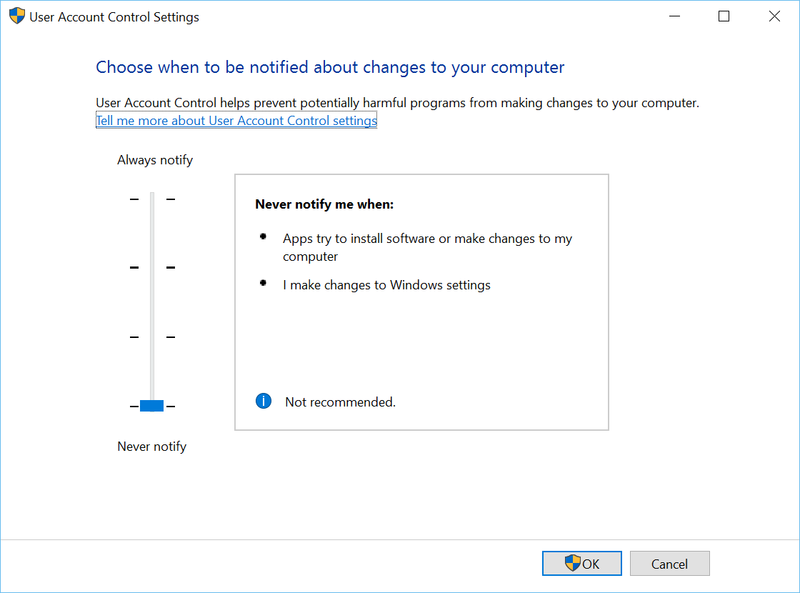 My user account on the laptop is an "Administrator" account, and I have set the User Account Control setting to "Never notify". I thought that this would achieve the effect I want (as also suggested in this related question in relation to Windows 7). Still, Notepad++ (for one) is not automatically starting with administrative rights. What else do I need to do, or what am I overlooking? PS. I'm aware that what I'm trying to do is a security risk, but that's not the point of this question; whether I should or should not do something is different to whether I can or cannot do something. Updated answer: solving the problem instead of answering the question. Notice that Authenticated Users doesn't have "Full control"; only Administrators does, and you're not really a member of Administrators unless elevated. Click Advanced. (The owner will probably be Administrators.) Click Add. Click "Select a principal", and type your username in the box. Check "Full control", then click OK.
Now that we're back in the advanced ACL editor, check the box that replaces child item ACLs. Click OK and accept the warning. Click OK on the properties window, wait for the operation to complete (if there is one), and you're done. The original (dangerous) answer follows below the line. Danger! This is almost certainly a bad plan, for reasons explained in Ramhound's comment. Set "User Account Control: Behavior of the elevation prompt for administrators in Admin Approval Mode" to Elevate without prompting. Set "User Account Control: Detect application installations and prompt for elevation" to Disabled. 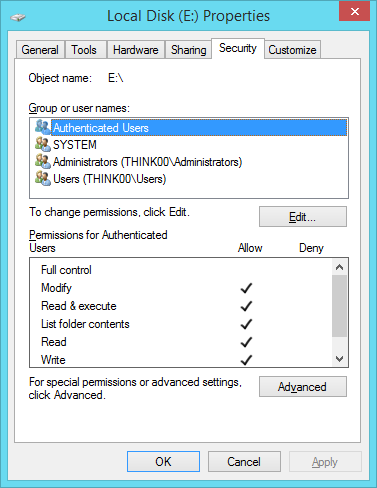 Set "User Account Control: Run all administrators in Admin Approval Mode" to Disabled. Set "User Account Control: Only elevate UIAccess applications that are installed in secure locations" to Disabled. The LGPE automatically saves all changes, so exit it and reboot. Again, this is a very insecure configuration that you're creating here. It looks like there are a few options to run an application as administrator by default that you can try. 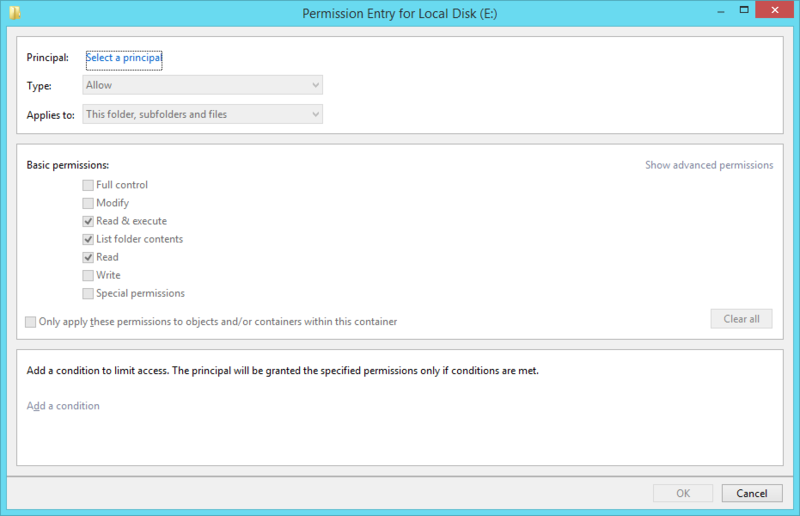 Check the "The program requires additional permissions" checkbox. Click "Next" and click the "Test the program..." button (to verify the program runs properly). Click "Next" and click the "Yes, save these settings for this program"
Bill Garrison confirmed that the solution found at How can I run ALL my Apps “as administrator” by default in Windows 7? works for Windows 10. There is at least one other method, you can set UAC to the lowest setting, but doing so also causes the Windows 10 native apps (like the calculator) to fail. Select Your Account And Click On "Properties"
Find "User Account Control: Switch to the secure desktop when prompting for elevation"
Open It Click Disable It And Click Ok.
in the registry needs to be changed to 0. This disables the "administrator in Admin Approval Mode" user type, thus allowing all administrator users to run their processes as administrators by default. After doing that, your programs/processes will be run in Administrator mode by default (given that your user is an Administrator), i.e. you will not be having (so much) trouble saving files to certain locations, without launching the respective program specifically as Administrator first. If a search lead you here, and you want to always run a specific application as administrator even when launching its associated file type, you have to use the registry. Those compatibility tabs on properties are no longer available in windows 10. If you don't already know why you shouldn't do this, you should stop now. For Why you should or shouldn't do this you need to look elsewhere. Below you will learn how. The name of the new key should be the path (without quotes) to the application you want to always launch elevated. "C:\Program Files (x86)\Microsoft Visual Studio\2017\Professional\Common7\IDE\devenv.exe"
After you set the key value and name correctly, you are done! Launch the app using an associated file and you'll see the elevation prompt. Not the answer you're looking for? Browse other questions tagged windows-10 administrator uac runas or ask your own question. 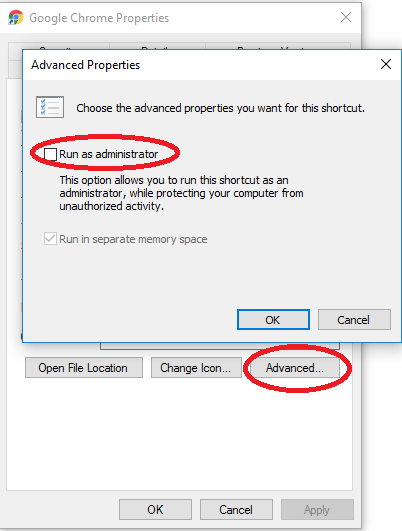 How to always run a specific program as administrator on windows 7? 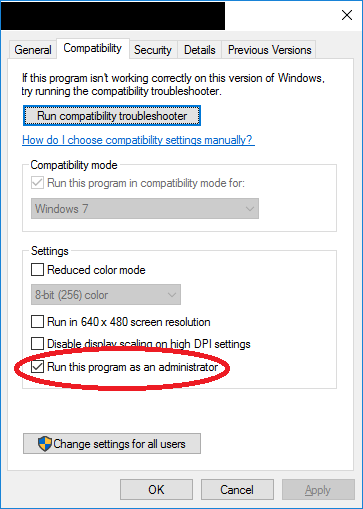 How can I run ALL my Apps “as administrator” by default in Windows 7? 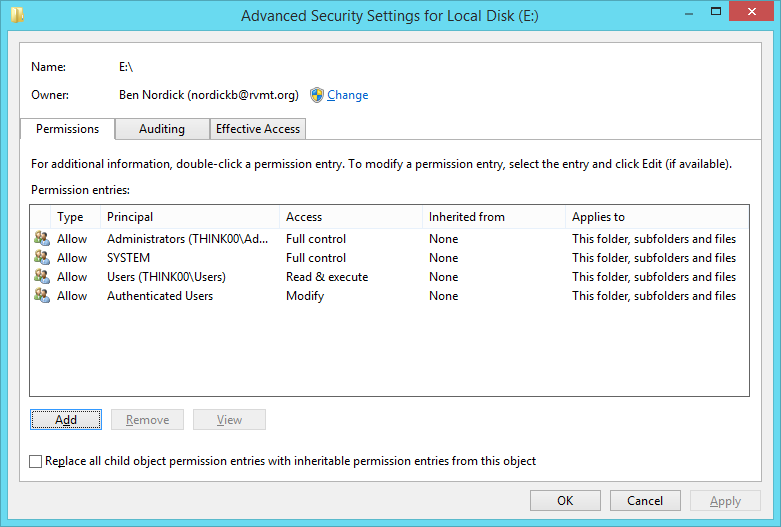 Are there any security benefits to running as a Standard User in Windows 7 with UAC turned all the way up?